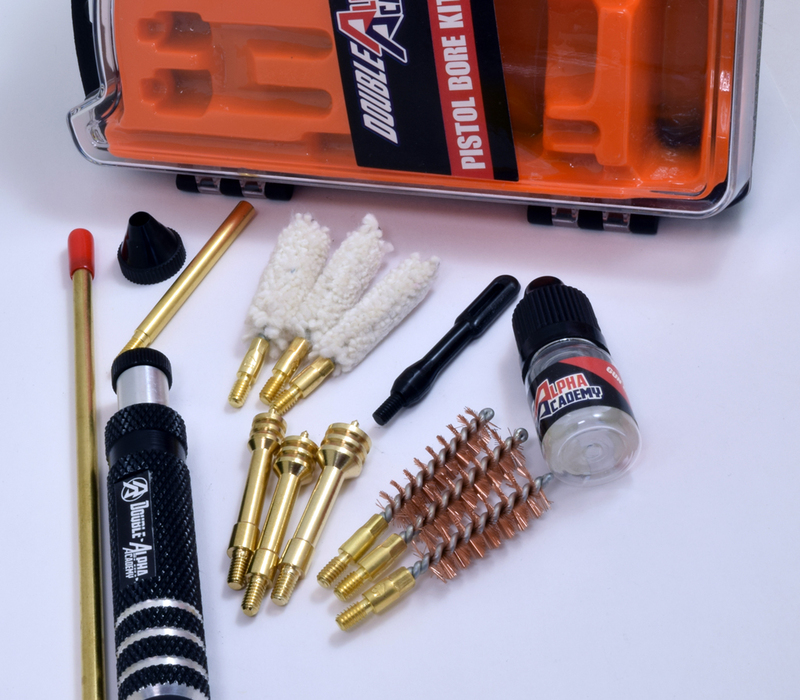 The DAA Barrel Cleaning Kit is a practical all-inclusive kit which provides you with all the parts needed to clean and maintain your pistol barrel. The aluminum handle, with two-piece cleaning rod is long enough to reach through any pistol barrel (easily over 7 inches) and includes a practical plastic muzzle guard. 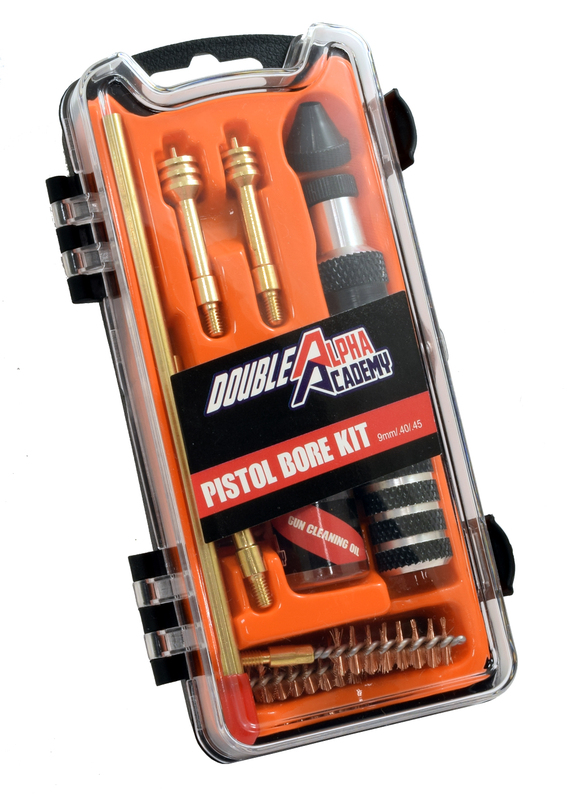 Packed in a display-friendly plastic storage box and internal blister pack.